I told you I would be back with regular posts this weekend and I am back with an incredible recipe! Things here are back to normal at home. I am working too much and we are deep in the midst of a hot DC summer. The heat does not stop me from baking, but it did lead me to baking something nice and easy. Quite some time ago snickerdoodle blondies were floating around all over the blogs and I bookmarked the recipe from Crepes of Wrath to make later. I am so glad I made them because they were absolutely phenomenal! Zack took them to a party and they were quite the hit. If you are looking for something easy and delicious they are perfect! Preheat oven to 350 degrees F. Lightly grease and/or line a 9×13 inch pan. Combine the flour, baking powder, cinnamon, nutmeg and salt and set aside. In large bowl, beat together butter and brown sugar for 3-5 minutes. Add in the eggs one at a time, then the vanilla, and beat until smooth. Stir in the flour mixture until well blended. Spread evenly in prepared pan (mixture will be somewhat cookiebatter-ish, so it’s best to spread it out with a greased spatula or your hands). 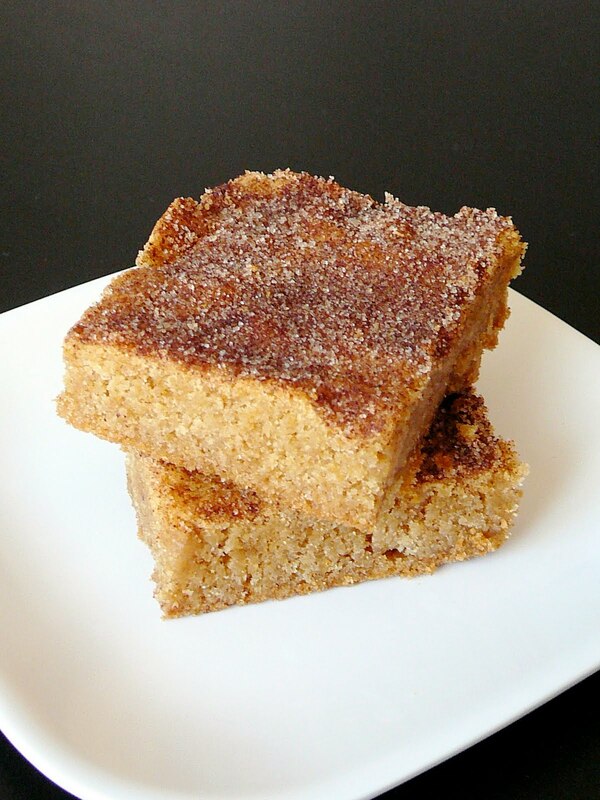 Combine the granulated sugar, cinnamon, and nutmeg in a little bowl. 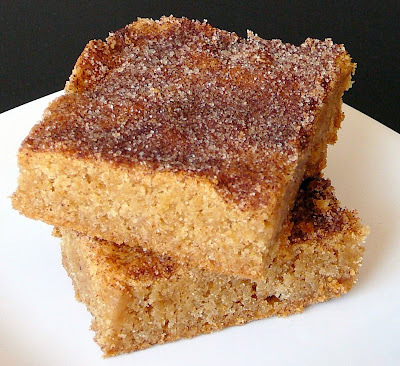 Evenly sprinkle cinnamon sugar mixture over the top of the batter. Bake 25-30 minutes or until surface springs back when gently pressed. Cool before cutting. Makes 20-24 bars.